What is Seniors' Yoga? A beginners’ guide. It’s never too late to start yoga – it refreshes your mind, tones your body and keeps your hormonal system in balance. Seniors’ Yoga is suited to the aging body, alleviating stiffness in the joints and promoting relaxation. 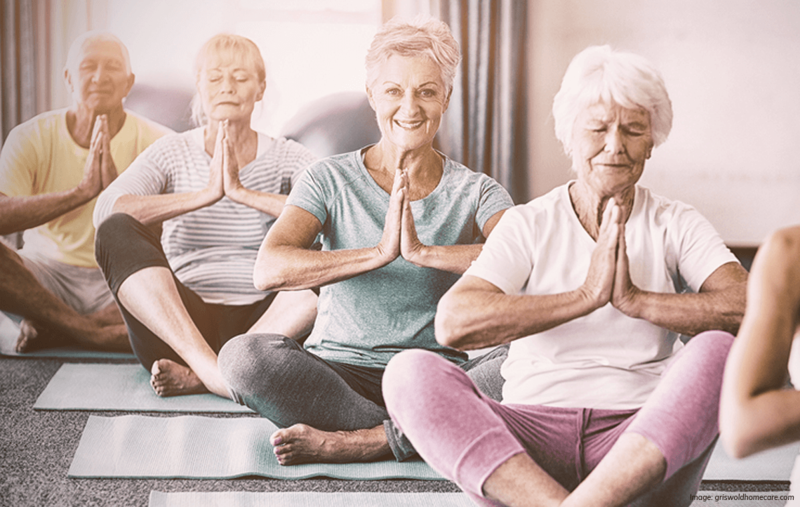 Often targeted at the 50+ or 60+, Seniors' Yoga is usually a slower and more relaxing practice that improves flexibility and circulation, mood, sleep patterns and breathing habits. When this type of yoga is practiced regularly, it can help to reduce everyday aches and pains, and alleviate high blood pressure, and the symptoms of osteoporosis, rheumatism and arthritis.